Impressive views and fresh air make the Vogel Plateau, high above Lake Bohinj, a popular destination; it’s even accessible by cable car. More unexpectedly, it also happens to be one of the most interesting archeological sites in Slovenia. The artefacts discovered there provide valuable insight into how people once lived high in the mountains. The story began when two amateur archeologists, Janez Bizjak and Miran Bremšak, found several Iron Age objects next to a ski slope. The artifacts proved that people inhabited this high-altitude region of the Alps some 3500 years ago. They not only grazed cattle, but also mined iron ore. In fact, subsequent archeological expeditions have uncovered several sites where iron was mined. Meanwhile, artifacts such as a metal brooch, bronze bells, and decorated pottery have given historians new insight into the living conditions of the Iron Age. The remains of an Iron Age building indicate that it was used for shelter and to store iron ore. Interestingly, it was constructed in an area protected from avalanches, and it was made of stone and wood – the same materials still commonly used for building construction in the Alps. The artifacts helped to change the historians’ understanding of life in the mountains. It was once believed that humans once avoided the Alps altogether, but the Iron Age objects, combined with related discoveries, prove the existence of continuous human settlement in the area, even at high altitudes. Many of the artefacts were recently exhibited at the Museum of the Gorenjska Region in Kranj. Meanwhile, local authorities have set up the Iron Trail on the Vogel Plateau. 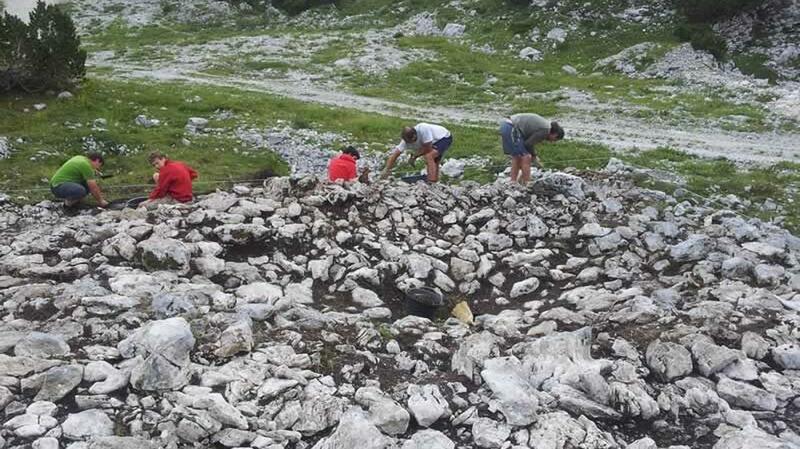 A part of an international project, the trail takes visitors into the environment where the Iron Age objects were made and used, giving them a new understanding of the Slovenian Alps and their earliest inhabitants.